Adding products to your online store should be quick and easy. This guide will take you through the steps. Make sure you are logged into your website. From the dashboard, click Products in the left menu. 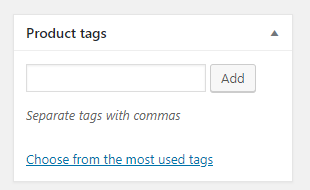 Click Add New at the top, or duplicate an existing product by hovering over the product name and clicking Duplicate. This can be an excellent way to save time if you are creating a similar product. There are two columns on the product page. To ensure I don’t forget anything, I generally work my way down one column, and then return to the top and work my way down the second column. Begin by adding a title. The first box you will see after the title is the long description. It is not required for all websites to use this box, but each website is unique. If your website uses it, this is where you enter a long description. To know which option is right for your website, refer to your website use guide. Next, you need to choose a product type. If you product does not have any options, it is a Simple Product. If your product does have options, such as size or color, choose Variable Product. For instructions on setting up a variable product, please see the next section of this guide, Setting Product Variations, and follow those instructions in place of steps six and seven of this section. Set a price. Optionally, you can also schedule a sale for your product. 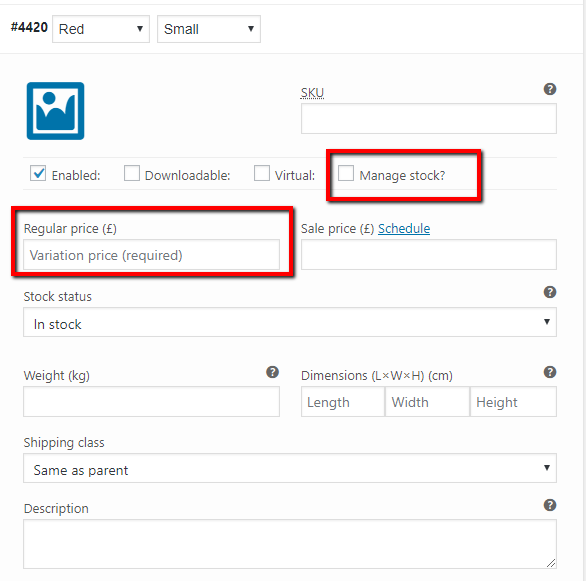 If you want to track inventory, click the Inventory tab from the left and check the box for Manage Stock. 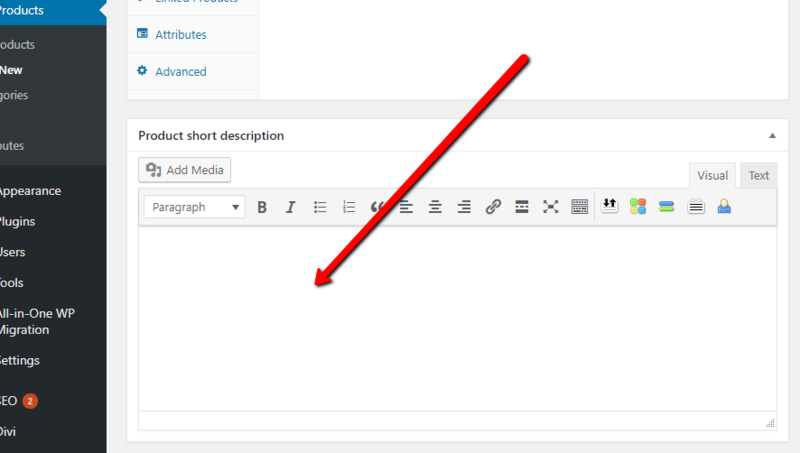 If your website uses a short description, you set that in the next box below the product data box. Return to the top of the page to begin working on the next column. 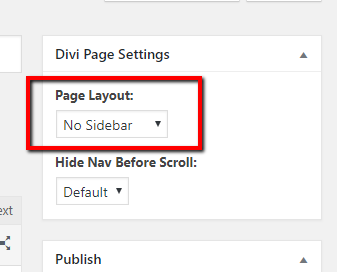 The first box is the Divi Page Settings box. Select No Sidebar from the drop-down menu. Scroll down until you see the Product Categories box. 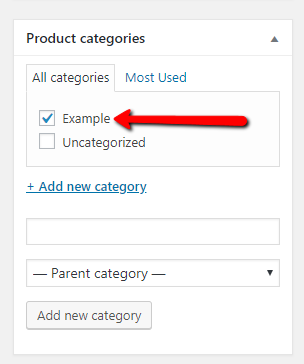 Select a category for your product, or add a new category. Set your featured image and gallery images. 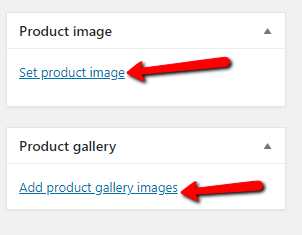 Please note that if you add gallery images, the featured image will automatically show in the gallery as well. Scroll back up until you are close to the top of the right-hand column. You are now ready to publish your item. Please note that Preview opens the item in a new tab, but does not save the item. 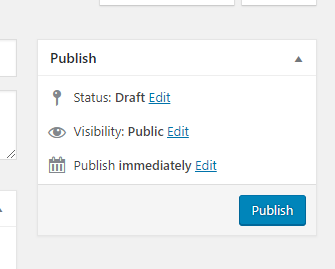 If you come back to edit this item in the future, the Publish button will be an Update button. The Update and Publish buttons are how you save the item. If your product has variations, such as size or color, use this section to learn how to set them up. If your store has many items that have the same variations, such as t-shirts that are sold in the same sizes for different styles, it is easiest to set it up once and then duplicate the product. From there, you can simply change the details such as photos or the price. In the Product Data Box, select Variable Product. 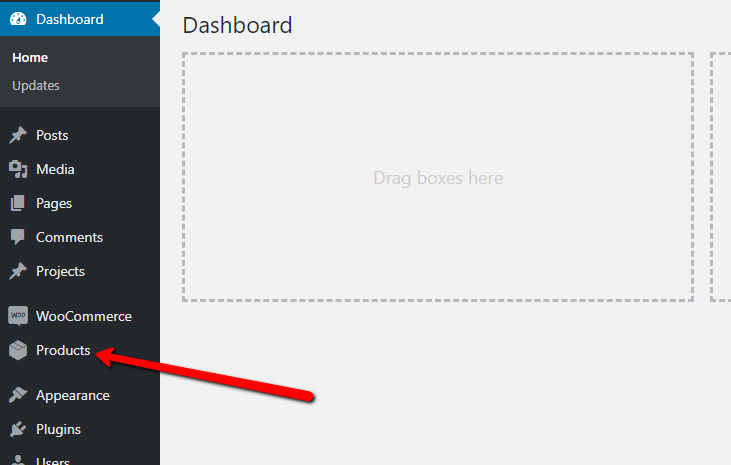 Click Attributes in the left-hand side of the box, then click Add. 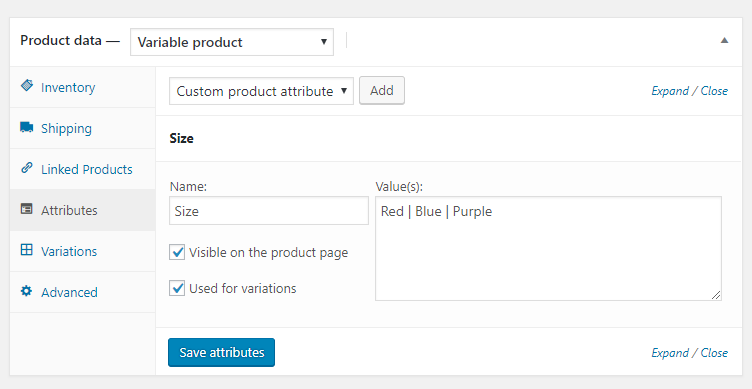 After adding a Custom Product Attribute, set the name of the attribute. This would be something like size, color, etc. Next, set the values. An example of this would be small, medium, or large. Values should be separated with the ” | ” symbol (bar symbol). This is located above the enter key on most keyboards. After the values are added, next check the box Used for Variations. Finally, click Save Attribute. You can add as many attributes as you need by repeating steps two and three. Next, click Variations from the left part of the box. From the drop-down menu, select Create Variations from all Attributes. After that, click Go. After you click go, most browsers will show a popup message confirming that you want to do that. Click Okay if you see this message. Next, you need to set the price of the item for each variation. This gives you lots of control over the pricing. To do this, hover over each combination and click the small arrow to open the pricing menu. Set a price for each different combination. Optionally, you can also manage stock. There are a lot of different options you can set for each variation. When you are done working on the variations, click Save at the bottom of the Product Data Box. Please note this does not save the product overall, only the variations. 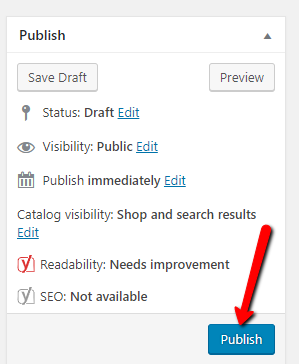 You still need to click the publish or update button as described in the first section of this guide. Coupons can be a great way to generate additional sales or give back to loyal customers. Create the coupon code and write a description. Next, choose the discount type. Percentage discount will give a percent off the total amount (ex- 10%). Fixed cart discount will give a dollar amount off the total (ex- $10 off). Fixed product discount will give a fixed discount on a certain product. Next, set the coupon amount and the expiration date. It is not reccomended to set a free shipping coupon using this method. The Usage Restriction section offers lots of options to control when this coupon can be used. This is not required, but a great option if you need it. An example of when you would use this would be if you want people to spend at least $100 to get 10% off their order. After you have set all options, click Publish.